Harrison Machine & Plastic supplies large diameter Schedule 40, Schedule 80, SDR-26, and SDR-41 fittings from PVC, PP, CPVC and other plastic materials. 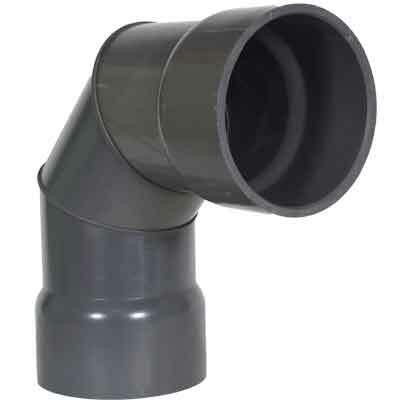 Our product line includes standard fittings such as elbows, couplings, tees, wyes, caps, van stone flanges, crosses, bushings, sanitary tees, combos, and plugs. We supply sizes thru 24" in most configurations. Custom fittings fabricated and manufactured to your specifications. Harrison Machine & Plastic can custom fabricate your large diameter pressure, drainage, and duct fittings from PP, PVC, CPVC, HDPE, PVDF, Schedule 40, and Schedule 80 materials. Fittings can be enhanced with our CNC machining capabilites. Parts and prototypes can be made using threading, drilling, slotting, and tapping capabilities. We also provide pre-engineered complete systems to your prints or ours. As always, "If you can't find it, call Harrison." Harrison Superduct® systems are fabricated to your specifications. 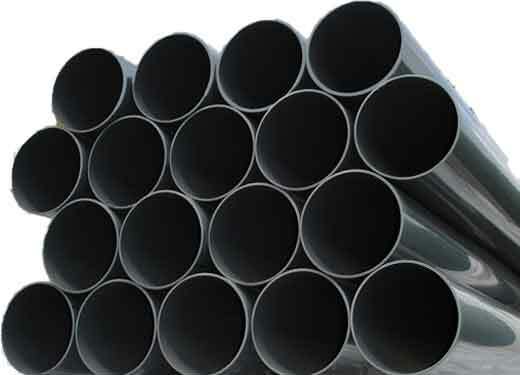 Our large diameter Harrison Superduct® PVC pipe & CPVC pipe is offered from 2" to 60". PP, PVC, CPVC, HDPE materials available. 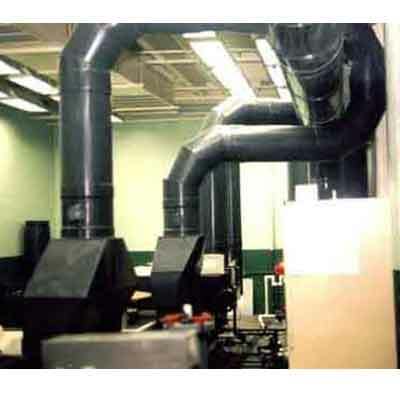 Complete piping and fittings systems for air and pollution control systems. 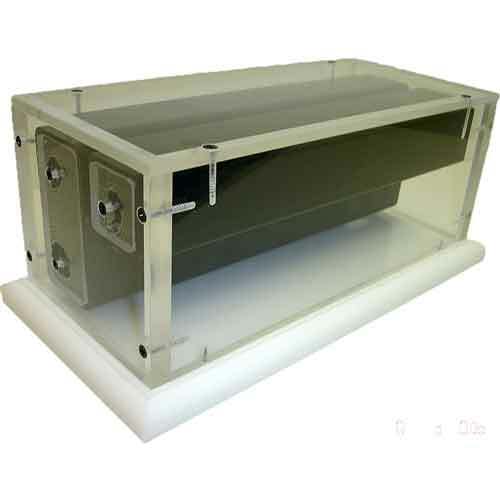 Corrosion resistant air handling systems available. Round and rectangular duct. Plastic pipe fittings made to customer or SMACNA specifications.